Annual Boat Show in Dusseldorf is the largest in Europe. Spread over 17 Halls, it offers anything from latest sailing boat, catamarans, motor boats brands, charter companies, watersports events, to any equipment one can possibly need in order to charter boats, own them or simply have some fun on the water. For us, this show is an annual meeting with our partners from around the Mediterranean. It is a great networking opportunity, helpful for developing our knowledge further and offering even better service to our clients. We always look for new opportunities and new destinations for our charters and our sailing events. We meet our clients and we work on projects together. If there is anything in particular that we can help you with while at the show, please let us know! We will be glad to do so. 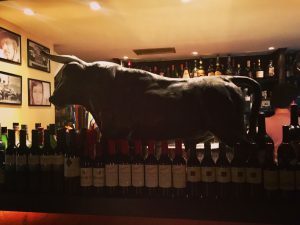 Off the records: If in Dusseldorf and dreaming of a real prime cut – delicious steak, The Classic Western Steakhouse is a must!